wondering if there is anyone with experience that would not mind teaching a newbie about hunting in Thailand. I am in the Bangkok area and would like to try to find some mushies. If you are interested please PM me. I can speak Thai fluently and this may be of advantage. Also if you have any advice of when/where to look (besides saying "on a pile of water buffalo crap :horse:") I would appreciate it. I thought that now that the rainy season is coming it would be the right time to make some plans. Any advice/guidance/help/teaching is much appreciated and thanks ahead of time. every thing is exactally the way it was aways suppose to be! i know MJ has alot of info on hunting the thai cubes and where to find them on his website. he will probilly chime in on this thread some time anyway but here is a link. 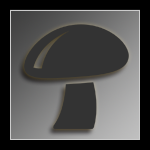 i know there is a monthly full moon mushroom fest on Koh Pha-Ngan island you should check out but i dunno what the dates are. Thanks for the reply. I have been to the Full Moon party a few times years ago. It was fun but has changed a lot even between my first and second trips. I could say it is much more commercial now than my first trip to Phang gnan. It used to be 8-10 DJs all across the crescent shaped beach with guests enjoying redbull/whiskey/coke(the cola) at some candle lit tables between the DJs in front of the various restaurants, a wink got you a mushroom shake. We always stayed the night on the island cause there was no way to get back to Samui, and why would you want to?. Now it is the Hieneken stage, the Singha Stage,and others, 50 speed boats crossing the ocean, hookers up from Phuket for the night. I am really not into that scene anymore. Rather have my own party with the great friends I have here in Bangkok. I have no idea why prostitutes would come from Phuket to Koh Samui to go to Koh Phanghan since Samui has over 1000 working girls on the island. And Phuket is hundreds of kilometers southwest of Koh Samui on the other side of the land mass. Samui is in the southern portion of the Gulf of Thailand, 700 kms south of Bangkok and 75 kms east of the Surat Thani Coast line. Then more than a 100 km to the Andaman Sea and then a ferry boat ride to Phuket or a plane ticket, something most working girls several hundred miles south close to the Malaysian Border and in the Andaman Sea facing India and Sri Lanka could not afford. It is better to book a room on the north of the island of Koh Phanghan days ahead of the festival. There are enough people (locals) who will drive you to your bungalow if there is an opening on the water front for the cycle to get through the water along the short and north from Thong Sala to Bottle Beach and to the east or west. The festival is held on east Haad Rin Beach and a 5 minute walk through the jungles you can have a bungalow and watch the sun set on West Haad Rin Beach and in the morn walk back to the east beach and watch the sun rise. About 300 omelletes are prepared every Friday and Saturday night depending on monsoon and shroom season. Not every day has shrooms. Thanks again. I guess they pros were from Samui. Nonetheless the second time I was there was a big change from my first party(I am guessing that was January 2001) which seemed to be a similar crowd to Burning Man years ago(that sure has changed as well). The first party I went to was extra special because that night was also a Lunar eclipse so it was bright moonlight then suddenly dark and then bright again. Maybe a new Thai event needs to be started that is not so commercial. u ever try going to Koh Tao?? did some srhooms there omlettes or u can order them in a shake blended form.. I am also in BKk and in the same boat. TS did you find any information you could share? Hi, i'm also in bkk for a few years now, into the rainy season at the moment...any leads on where to find them around bkk, or one of the closer islands/beaches? Thanks. Wow man that's awesome you can speak Thai. What's bangkok like? Better late than never. Nik noi. just a little. Sawasdee!